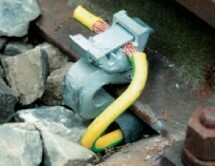 Connecting Type E2 & E3 Electrical rail contact with vibration-resistant cable fixing for return current grounding, signal circuits etc. 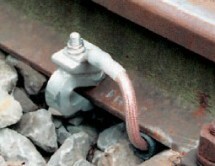 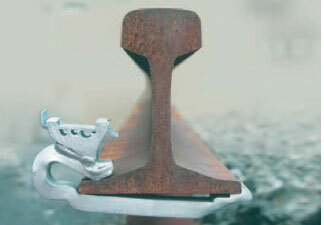 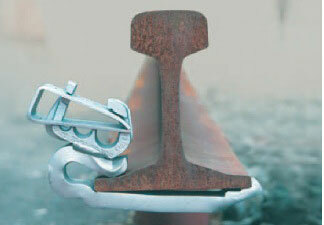 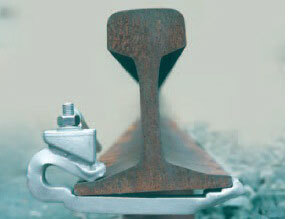 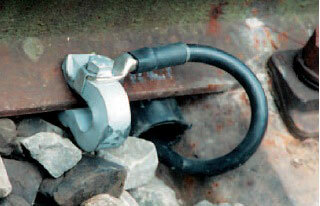 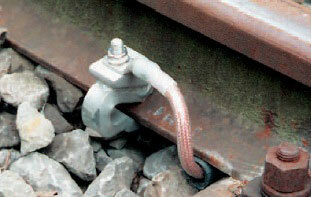 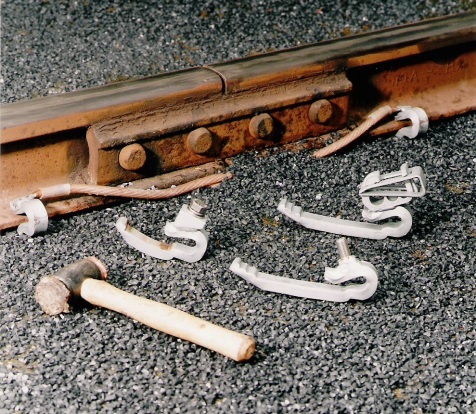 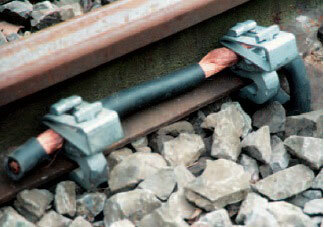 Connecting Type E4 Electrical rail contacts with vibration-resistant cable fixing. 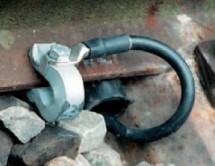 Typical arrangement with two clamps and 240mm² cable. 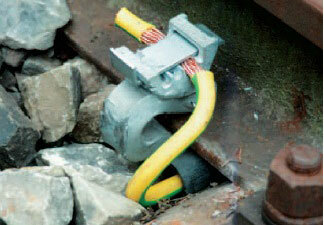 Ideal for networks with heavy return currents. 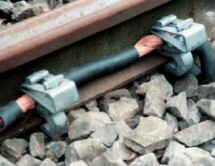 Connecting Type GI12 Electrical rail contact tapped for vibration-resistant M12 screw fixing and cable lug, for return currents, mast grounding, signal circuits etc. 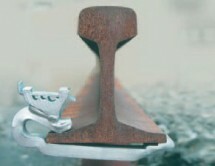 Connecting Type EA10 Electrical rail contact with reusable and vibration-proof M10 nut and cable lug for return currents, mast grounding, signal circuits etc.Advantages: Fast and easy cable fitting, larger contact area. 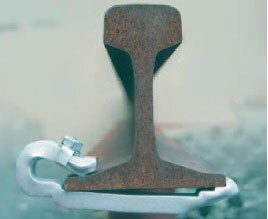 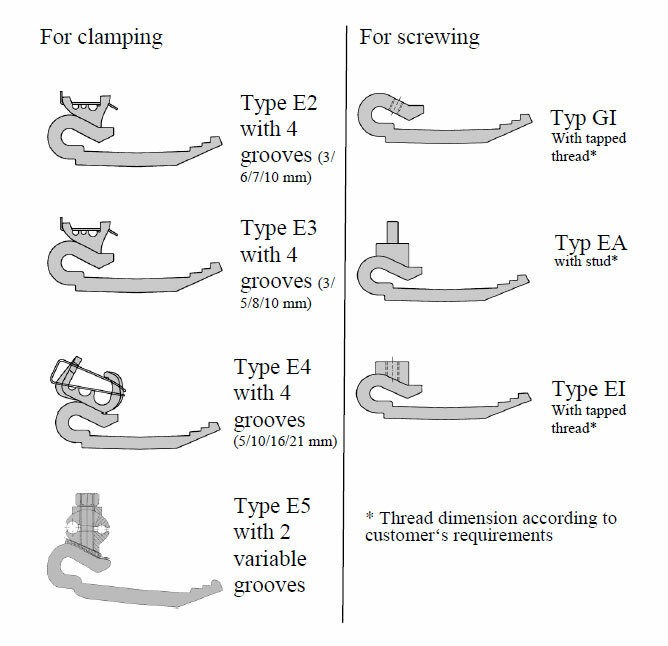 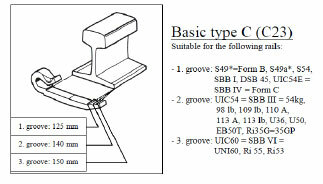 According to customer’s requirements Bance contact clamps will be either delivered with heads and springs for clamping cables and wires directly (connecting types E2, E3, E4 & E5). 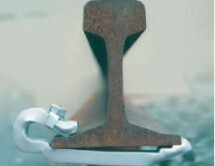 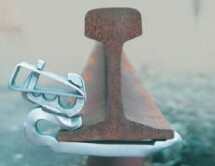 Or they are delivered with tapped threads or studs for cable fastenings by means of cable lugs (connecting types GI, EA, EI).